In general you will find that most people like potatoes. Some, like me, not only like potatoes but indeed have a special partiality towards the baby potatoes. I find that baby potatoes add to the visual appeal of the dish. You may also like to read this article on "10 reasons to eat Baby Potatoes." 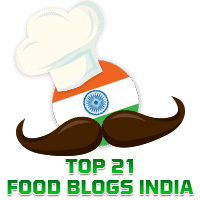 Not surprisingly, therefore, you will find elsewhere in this blog several dishes, that call for the use of baby potatoes but are so different from each other, like Minty Baby Potatoes, Schezwan Potatoes, and Baby Potato Biryani. 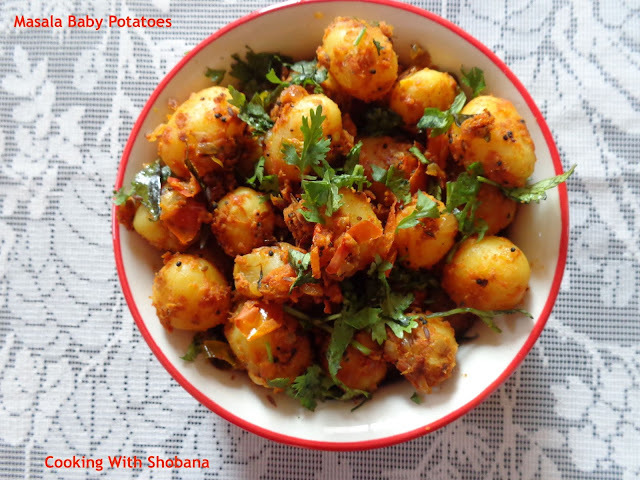 Wash the baby potatoes thoroughly, place them in a pressure cooker with adequate water, add a little salt and cook them for 2-3 whistles. Make sure the baby potatoes are firm when cooked and don't get overcooked. Once the cooker cools, remove the boiled baby potatoes, peel them and keep aside.